There are a lot of different ways to get assistance to meet your needs. It is important to ensure that you are exploring all of the options available to you. We have made an effort to summarize what is indeed available to you below. The Katie Beckett Program is a special eligibility process that allows certain Wisconsin children with long-term disabilities, mental illness, or complex medical needs, living at home with their families, to obtain a Wisconsin ForwardHealth Medicaid card. 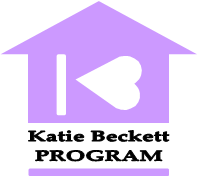 Children who are not eligible for other Medicaid programs because the income or assets of their parents are too high may be eligible for Medicaid through the Katie Beckett Program. A child may be eligible for this source of Medicaid even if they are currently covered under a private health insurance policy. Granting right to treatment that is considered medically necessary for any problems uncovered during these screenings. Screenings will include medical, vision, hearing, and dental exams as well as other assessments if deemed necessary–this can include screening for mental health-related issues. In order to get a HealthCheck, call 1-800-722-2295 to find your nearest HealthCheck provider. Once identified, schedule an appointment directly with the provider. Wisconsin DHS Prescription Drug Assistance: a list of resources provided by the state that you can use to find information and assistance with prescription drug needs. GoodRx: a useful resource to compare the costs of prescriptions commonly available at pharmacies.